Because we built your Poynt device to be future proof, there are many different ways that you may accept payments on your terminal. 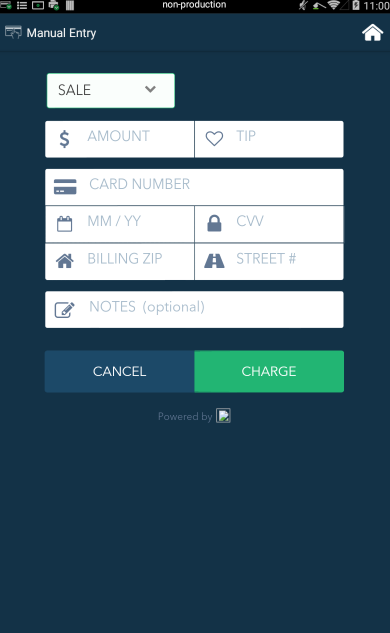 There are two applications where you can press “Charge” to begin the payment process: the Terminal app and the Register app. From there, you and your customer will be prompted on both screens to select a payment method and enter the required information. Anytime you press Charge, the payment screen will select CREDIT as your default. 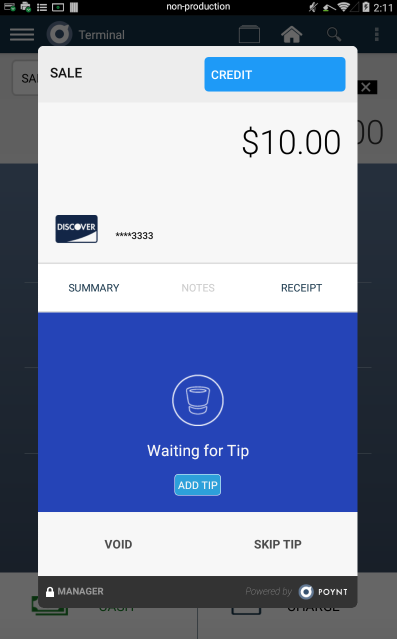 If you'd like to process the payment using another method (debit, EBT, Alipay, etc), simply tap Credit in the top right corner and select the method you'd like to use. Your smart terminal has both MSR and and EMV capabilities— both in the same card reader. 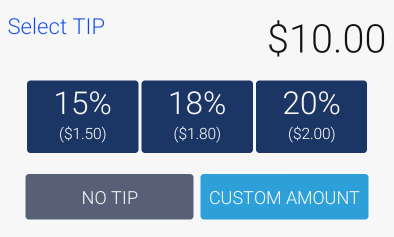 Step 1: Cue up a transaction (or order) in the Terminal or Register app and then select Charge. By default, credit will be selected. Once Charge is selected, the customer will follow the steps on their screen and complete checkout. Once their card has been processed, an audible alert will remind them to remove their card. They will then complete their transaction and select how they would like to receive their receipt. Step 2: Tap the top right corner where Credit appears to select another payment method. Select Debit. 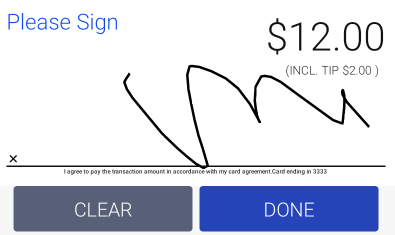 Step 3: Your customer will be prompted to enter their PIN and complete the transaction, adding a tip (if applicable), signing, and selecting their receipt. Note: Accepting debit payments must be configured by your reseller organization. If you do not see debit available, it is not enabled. Please reach out to your reseller to inquire about enabling debit. For payments where it’s easier to enter the card information, there is manual entry available. 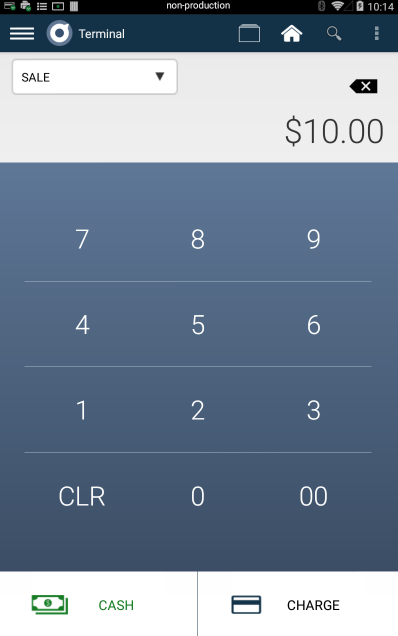 Step 2: Tap the top right corner where Credit appears to select another payment method. Select Manual Entry. Step 3: Enter the required information and select Charge. Note: You may process Manual Entry payments from the terminal app or the register app as you'd process any other payment types. Some merchants, particularly those who accept mail-orders and phone-orders, may find the Manual Entry app (pictured right) helpful. 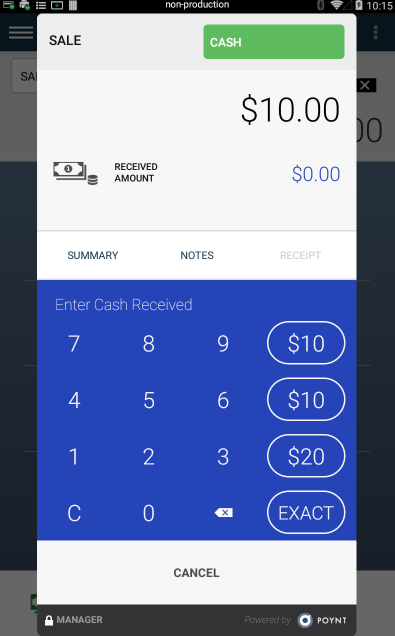 You can accept cash payments through the Terminal or Register App. When going through the checkout process, there will be several options to select while making change so that you can move quickly throughout the transaction. 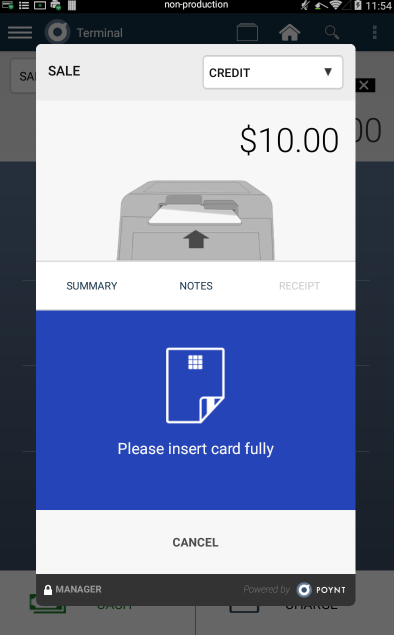 NFC, or Near Field Communication, is enabled for Android Pay and Apple Pay. 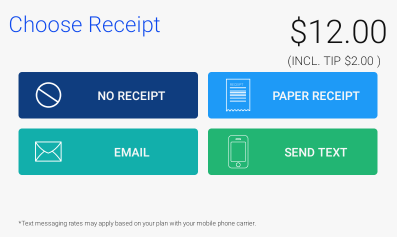 If you would like to record and track transactions paid with other payment methods, such as gift certificates, vouchers, or store credits, you can choose Other, which allows you to enter notes about those transactions. Like Cash or Check transactions, the Poynt Smart Terminal does not electronically process these transactions. Other is for record-keeping only. Transactions marked as Other will appear in your Transaction Report and include a column with your notes.